I've been making a lot of cocktails lately, so it makes sense that I'd want to make my own mixers. I have a soda siphon for making fizzy water, and I've made flavored simple syrups. But for some reason, I never thought about making a sour mix. Which is sort of silly, since I like tart cocktails. Usually that means I'm squeezing limes for my drinks. 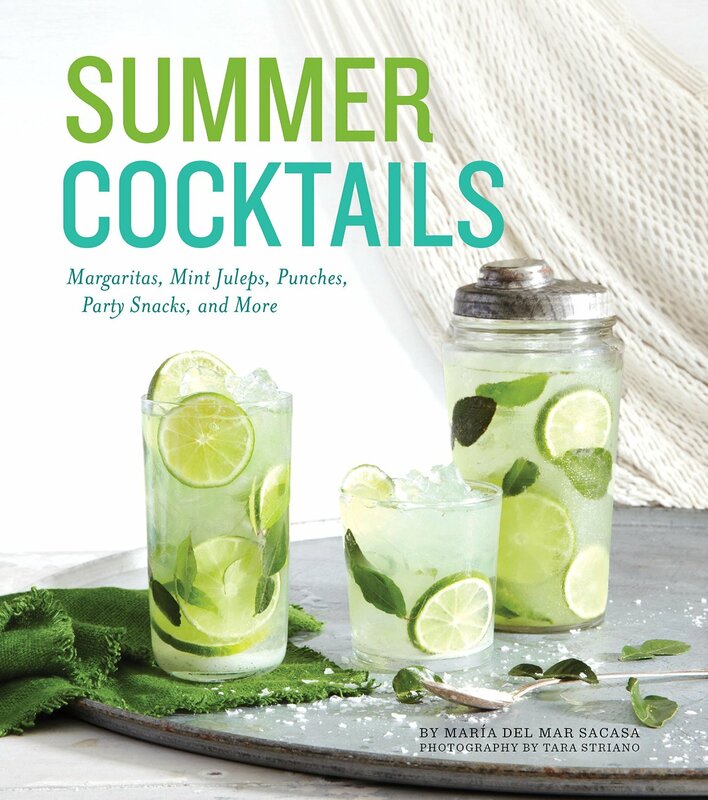 But wen I got a copy of Summer Cocktails to review, I decided to make the sour mix recipe from the book. But of course I had to put my own twist on it. The standard recipe had one cup of lemon juice and one cup of lime juice, but there were options for sour mixes with more lime, with orange juice, and with grapefruit juice. I had a brand-new bag of limes and a bag of lemons, but I also had some ugli fruit from Frieda's Specialty Produce, so I decided to use one of them. Then I squeezed all the limes, and I got the rest of my two cups of citrus from squeezing lemons. The resulting sour mix is tart and a little sweet, and it tastes fresh because it is fresh. I decided that I wanted the clearest possible cocktails, so I strained the juice before I mixed it with the sugar. If you want a thicker juice, don't bother straining. Pulse the sugar and zest in a food processor until the zest is very very fine. Put the zesty sugar and the water in a saucepan. Heat on medium, stirring, until the sugar melts. Take the pot off the heat and let the mixture cool to room temperature. Add the fruit juice and stir to combine. Transfer to a bottle or jar for storage. You can strain it if you like, or leave it pulpy. I've acquired a few cocktail books, and some are for fantasizing about, and others are for making cocktails whenever I feel like it. This is the latter. It's less about hunting for exotic brands of liquor and more about having some fun with tasty combination. There are some classics, and there are some more modern drinks. And there are variations of the drinks, so you can experiment a bit. There are classics like martinis and margaritas, and there are some new creations as well. I have to say that I'll probably be using this book quite a bit. And I'm probably going to make the sour mix again and again, whenever I see citrus on sale. I received the book from the publisher at no cost to me. I regularly receive produce from Frieda's Specialty Produce for my use.